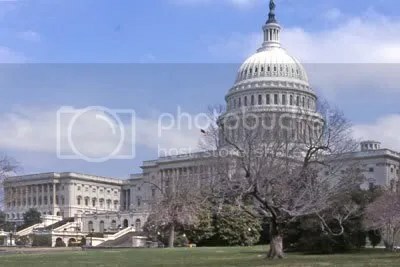 Building began on the United States Capitol (take a virtual tour here) in 1793, and over the years, the building grew to accommodate the expanding country and its government. The Capitol complex now consists of the Capitol building with its famous rotunda where presidents and other important people lie in state before their funerals; the House and Senate office buildings; the Library of Congress; the Supreme Court; the U.S. Botannic Gardens;, and the Capitol Power Plant. The Capitol is open for guided tours every day except Sunday. It’s also closed on the Thanksgiving and Christmas Day holidays. Tickets are free, and a limited number are available from 9 AM at a kiosk in the grounds. However, most visitors have obtained tickets ahead through their state representatives, so few are left for those who simply show up. You are currently browsing the blog archives for the day Sunday, June 18th, 2006.